India witnessed the first phase of general elections on 11 April. This is a closely watched election for many reasons, a key one being the accessibility factor given the Election Commission of India's promise to "Leave No Voter Behind". So, what was the report card on the first phase? 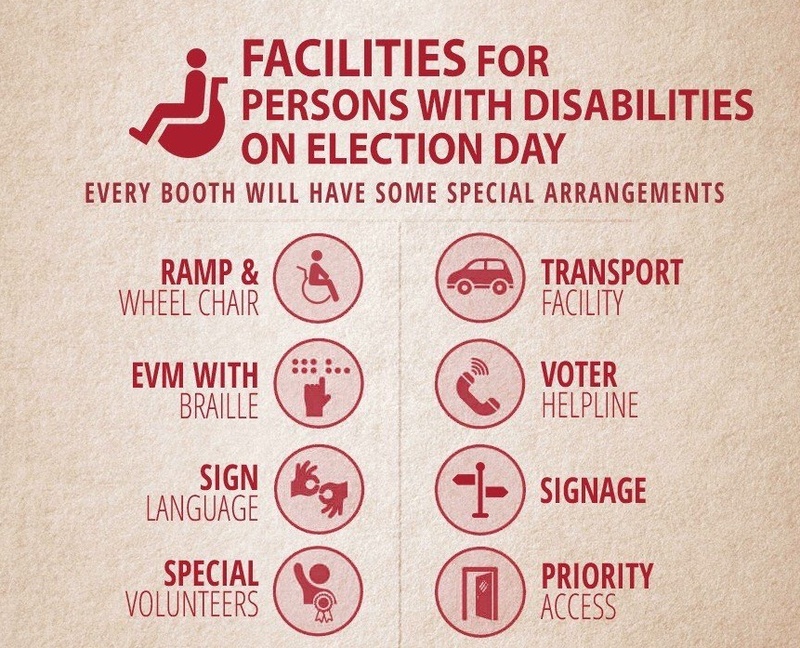 Well, booth accessibility remains a niggling factor with many disabled voters complaining of the difficulty faced in getting inside the voting booth. Despite the ECO directing respective state bodies to make adequate provisions, social media was filled with complaints on this count with many people with disabilities posting videos of the hassles they faced in getting inside. The other issue faced that many voters found their names missing from the electoral rolls.Well-know disability rights activist Dr Satendra Singh, who is on the State Steering Committee on Accessible Elections in Delhi shared his disappointment on social media, saying, "Cast the vote but with heavy heart. Few citizens lifted on steep ramp to help but chose to get down on my own on return to avoid injury.The ECI on 20 March wrote to CS of States to appoint Divisional Commissioners as Accessibility Officer with a detailed reporting format"
Clearly, like in the national capital, many of the orders given by the ECI to ensure accessibility remained on paper. The issues were varying across states. Like in West Bengal where elections were held in two constituencies, which was a major hurdle for people with disabilities. Also widely reported across this state was the issue of accessing the booths. The problem stemmed from lack of accountability and apathy at the ground level, with many voters pointing to the indifference towards disabled voters displayed by the staff at the polling booths. "All arrangements are made on book", said Goa-based activist Vishant Nagvekar on Twitter. "No one is still aware that ramp should have gradient of 1:12". 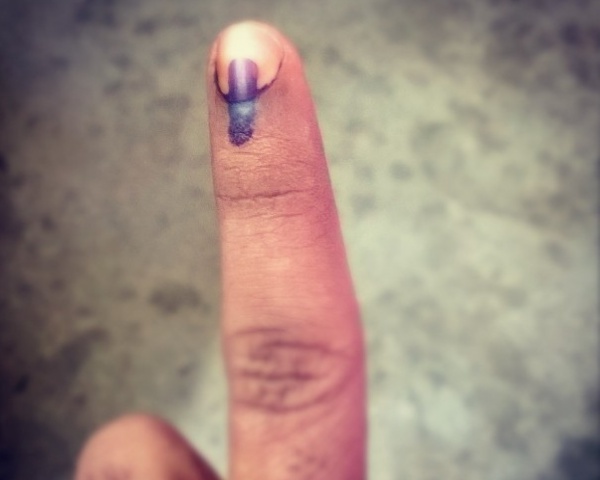 What was incredibly inspiring and moving were the images and videos posted from across India of disabled people overcoming various barriers be it the lack of ramps, transport, etc to cast their vote and make their voices heard. 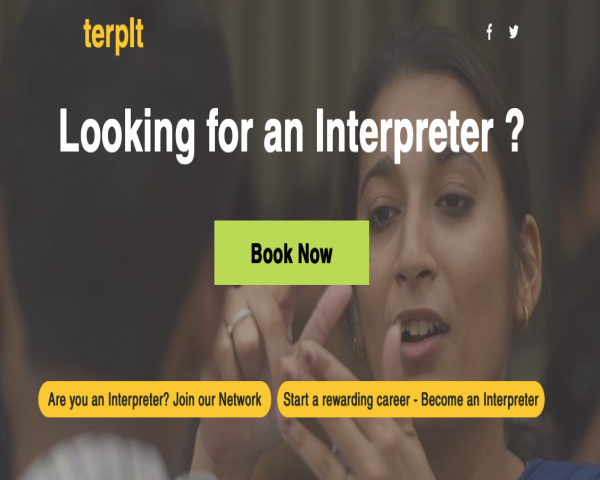 Clearly, India's disabled community is determined to make it's voice heard.